We may or may not know who the villain of Bond 25 will be. 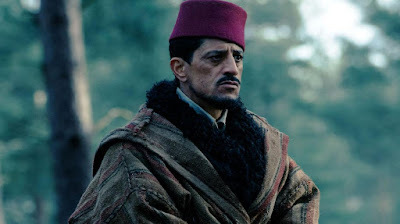 Wonder Woman actor Saïd Taghmaoui was recently cast in the film, a role that would have been the most prominent of his career as a solid supporting player. The only problem is that was when Danny Boyle was still attached, and with the director out that obviously puts his situation in limbo. “I’m supposed to do the next James Bond, playing the lead bad guy. I was cast by Danny Boyle, and just now he left the project, so of course there’s some uncertainty." Taghmaoui is a versatile actor, appearing in everything from The West Wing to G.I. Joe: The Rise of Cobra where he played Breaker, but I don't think he'd be able to pull off playing a Russian terrorist. A decision on a new director should be coming soon, and with it some idea of Saïd Taghmaoui's involvement.